I-Hawk or Hawk XXI SAMs for the Philippine Army? A MIM-23 Hawk Missile on Triple Launchers. Photo courtesy of Xuan Fumio Nanjo thru Wikipedia Commons. 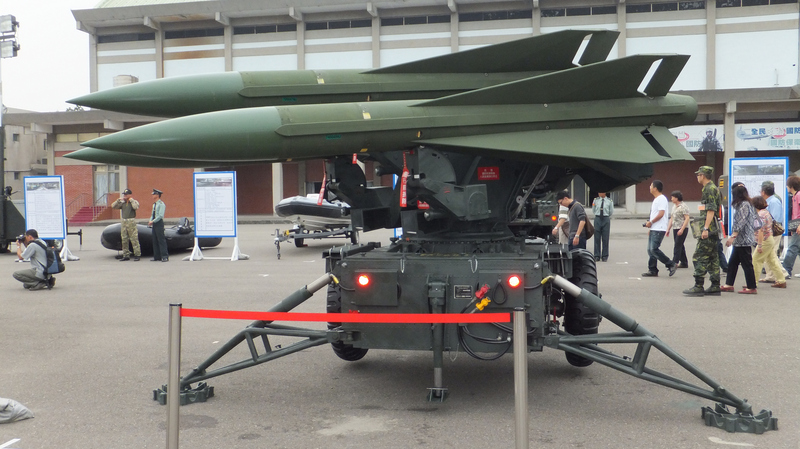 A media news article recently said that the Department of National Defense (DND) was considering the purchase of an improved version of the Hawk Surface to Air Missile (SAM) for the Philippine Army (PA).1 The source was unnamed, so this probably was an informal “leak” to the Press. The news is actually a bit confusing as the budget cited for this of P 6.5 billion (USD 144.44 million at the exchange rate of USD 1 = P 45) for 12 units, or an estimated price of USD 12 million each is actually the same as the budget for the planned Shore Based Anti-Ship Missile (SB-AshM) procurement that the DND also revealed a couple of months ago (see my blog, “Shore-Based Anti-Ship Missiles for the Philippine Army“). So either the DND changed its mind to buy SAMs instead of AshMs, or that this is a parallel procurement with the AShMs. The MIM-23 Hawk SAM is made by the American company “Raytheon” and first entered service with the United States Armed Forces in 1960. It is described as a medium-range SAM and has been quite successful commercially with over 40,000 missiles built over the years and has seen service in the armed forces of at least 22 countries. Credit Raytheon for coming up with an acronym that actually sort of work, as “H.A.W.K.” reportedly means “Homing All the Way Killer”.2 The Hawk is a COMBAT PROVEN system having seen action in almost all of the major wars in the Middle East since the 1960s, and is credited with having shot down at least 74 aircraft throughout its combat career.3 The respected defense publishing company Jane’s reportedly puts the I-Hawk’s single-shot kill probability at 85% based on its combat record, which (if true) is quite good.